Originating in England in the 16-17th century and being restricted to the aristocracy, cricket has earned the sobriquet of a 'gentleman's game'. The founding fathers of the game envisioned the game as one which would be played in a gentlemanly manner, which means that there will be no sledging, cheating, bodyline bowling, excessive appealing. This, in no way, meant blunting out aggression and competitiveness from the game. It meant prioritizing sportsman spirit and fair play over everything else. Any ardent fan of the game would testify with regret and remorse to the shattering of the spirit of the 'gentleman's game', as also, the fading away of the word gentleman from the game. A. Cricket was once dominated by the educated elite; only the rich and privileged, who were considered gentlemen, could play the sport. Cricket has, since then, become a popular game, breaking the hegemony of the elite. Irrespective of the background, any person can excel in the sport. Seen in this light, it is fair to say that cricket is no longer a gentleman's game and rightly so. B. However, this association of cricket with the elite was not, entirely, responsible for cricket being called a 'gentleman's game'. The qualities and spirit with which the game was played and which cricket has managed to retain, to a certain extent, make it a 'gentleman's game'. C.True. In addition to the laws that govern the game, the players have to abide by the 'Spirit of the Game', which should guide the players' conduct. Some of the qualities that make cricket a gentleman's game are: respect for your opponent, umpires, spectators and the game, fair and honest play, good conduct on and off the field and so on. Players such as Sachin Tendulkar, Rahul Dravid, MS Dhoni and Adam Gilchrist, to name a few, have always played the game in the right spirit without compromising on competitiveness. D.But, these days, cricket can no longer be called a 'gentleman's game'. With a growing number of cases of altercation on the field between players, sledging, cheating, undue aggression, lack of respect for opponents and umpires, cricket can no longer claim the tag. 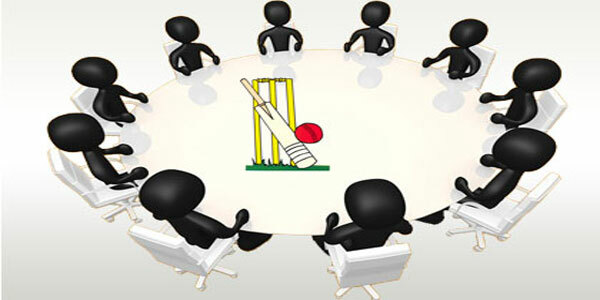 E.The Match Fixing Scandal in 2000, the Harbhajan-Symonds spat in 2009, ball tempering incidents, Spot Fixing Scandal are examples which have diluted the faith of the spectators in the game and questioned the credibility of the gentleman's game. F.The changing nature of the game is a reflection of the times we live in. Today's world prizes professionalism, ruthless competitiveness, and victory at any cost. Today's world is governed by the youth, who don't have time for niceties and managing impressions. The young, aggressive and unabashed players eager to prove a point are redefining the ways of playing the game, sometimes at the cost the spirit of the game. G.Another factor responsible for shattering the gentleman's game is money. The kind of money being made by young players along with instant fame, encourage them to play fiercely. IPL-like tournaments around the world, with a heady mix of sports, entertainment and money, provide a platform to players to earn a quick buck and make them instant celebrities. This becomes too difficult to handle, especially for a young player, who falls into the trap of thinking himself to be bigger than the game. Players, then, disregard the traditional values governing the game. H.The youngsters are confident, aggressive and free from any unnecessary burden. They express themselves freely and need to be guided through. They play hard to win. However, it is their duty to play the game in the right spirit and uphold he values of the game we cherish. Conclusion- Cricket has always set high standards but looking at the way the game is being played, there is nothing gentlemanly about cricket these days.